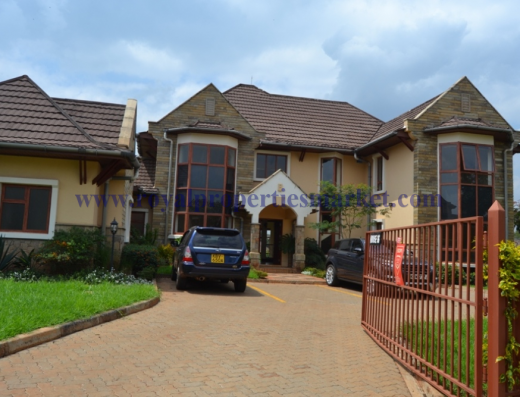 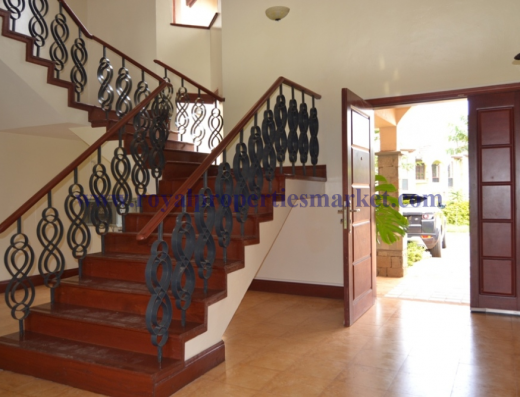 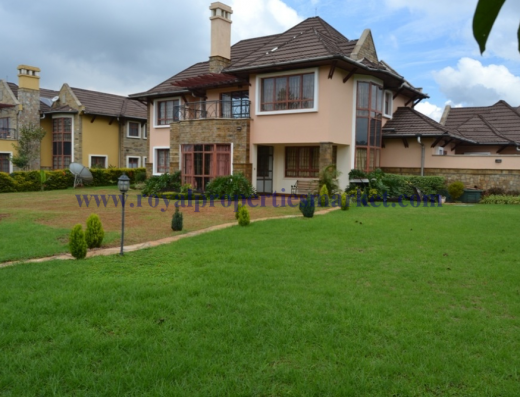 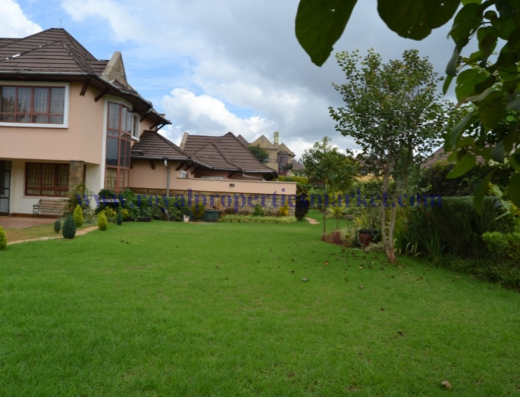 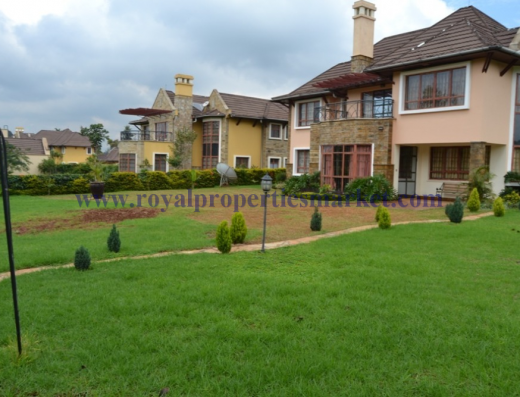 One of the finest homes in Runda estate, is this 4 bedroom double storey home with stunning interior design and architecture. 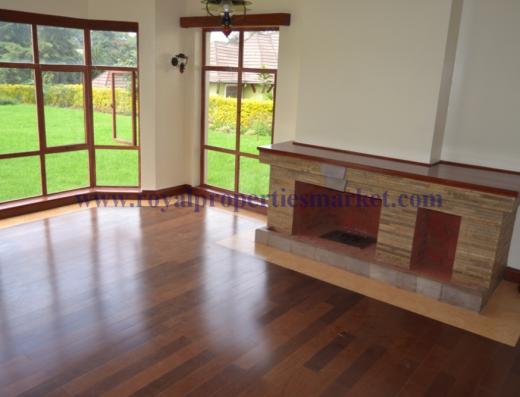 Study ,Kitchen,breakfast area , Sunken living Room opening to the garden, Dining Room, (2 bedroom en suite)pantry,washing area Dsq for two with a kitchenette. 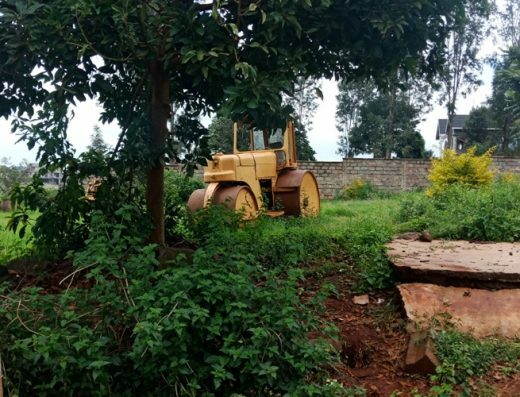 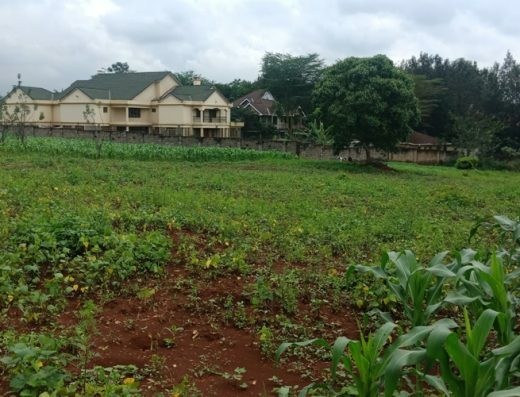 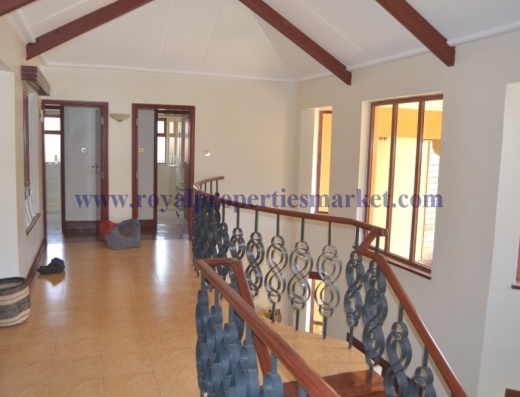 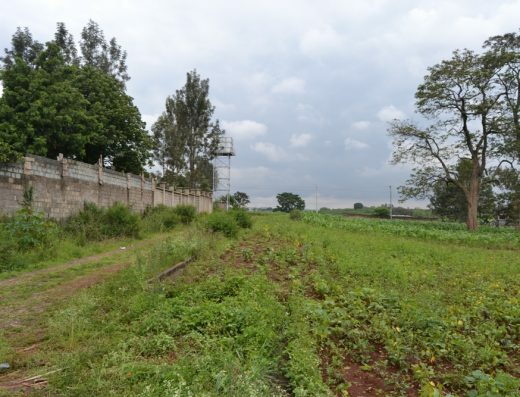 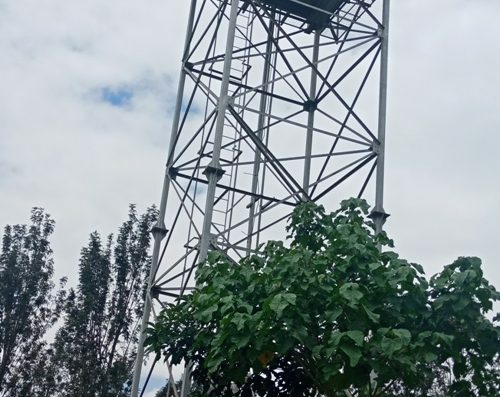 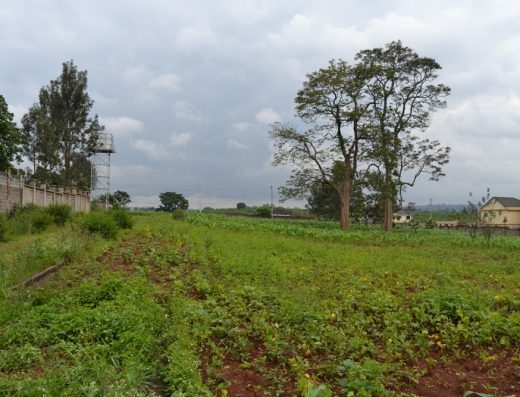 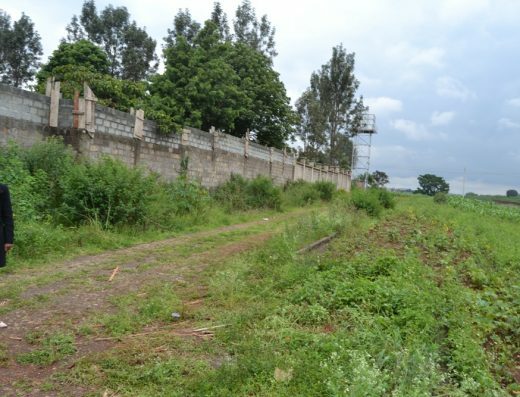 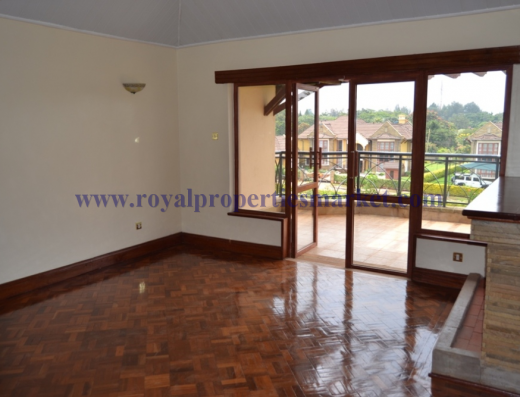 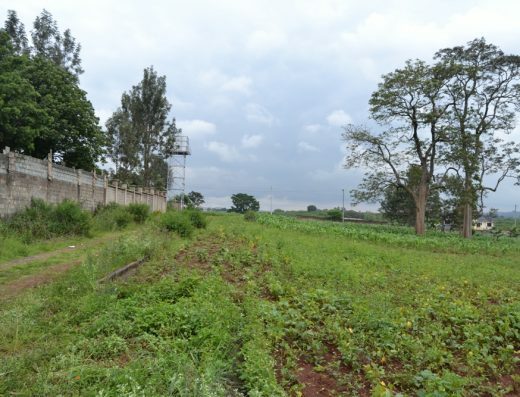 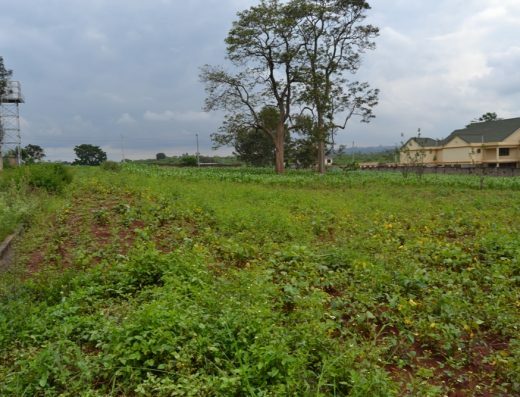 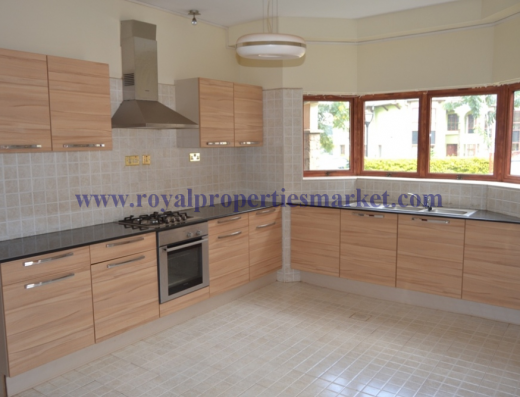 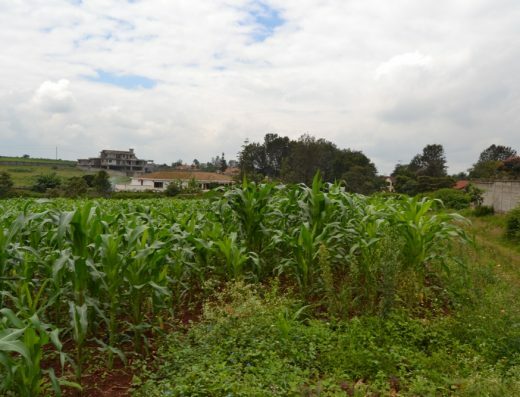 The property is located in Runda which is convenient to the UN and to all the main schools including ISK, Peponi school , Rosslyn Academy and Braeburn School. 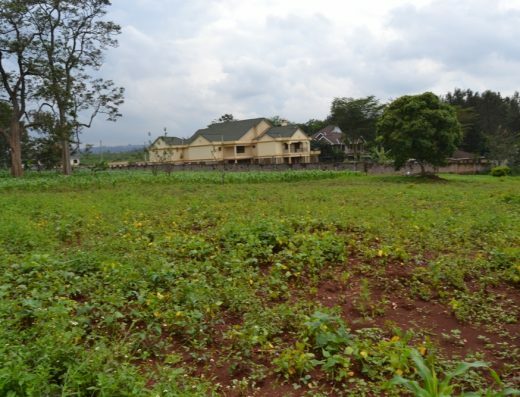 It is also close to Two Rivers, Village Market shopping Mall. 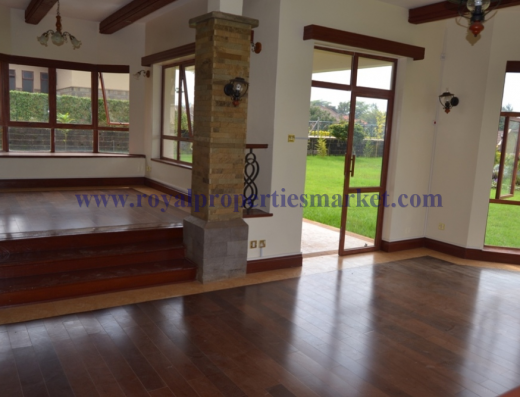 The house is built of stone block walls. 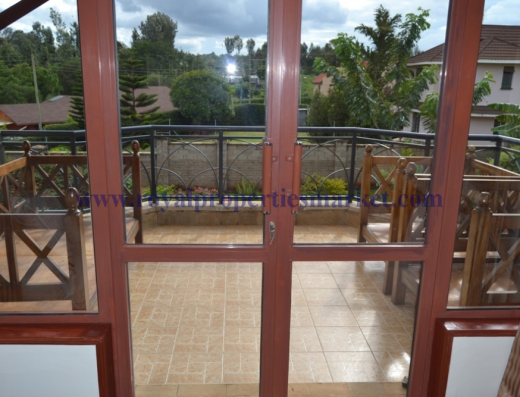 Windows are steel casements with burglar proofing. 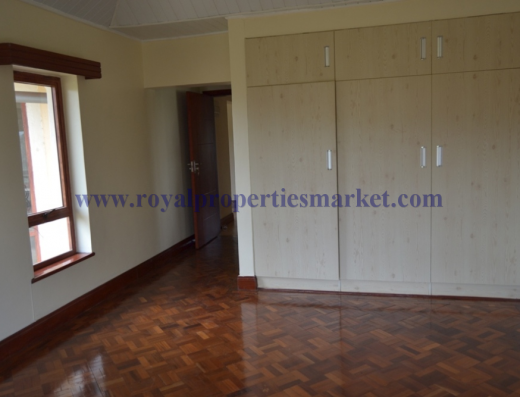 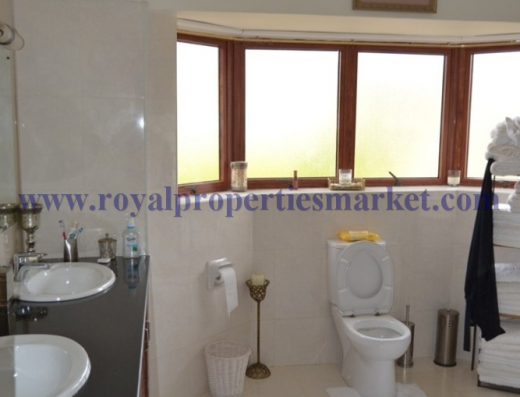 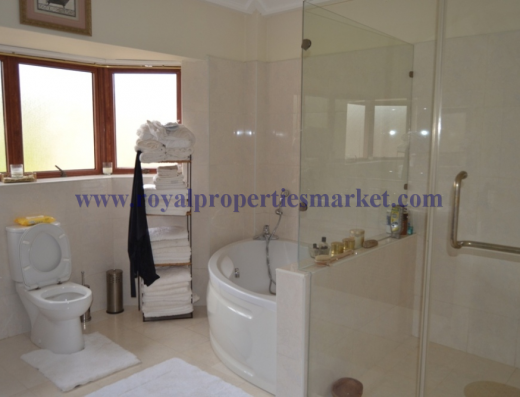 Floors in the main recreation rooms and bedrooms are wooden and ceramic tiles in the bathrooms and kitchen.